In 1872, the 23-year old Felix Klein published an important work, known today as the Erlangen Program, with lasting impact on the development of modern mathematics. Pursuing the Erlangen’s Program philosophy, a doctoral student of Gaston Darboux, Gheorghe Țițeica, introduced the first concepts of affine differential geometry in a series of papers published in 1907-1908. Furthermore, while running the ‘Mathematical Gazette’s problem solving competition, Țițeica discovered Dan Barbilian, a young brilliant and original mathematician who later had many substantive contributions in algebraic geometry and metric geometry. In poetry, Barbilian is remembered for his volume titled ‘Secondary Game’. In an essay wrote a decade after the ‘Secondary Game”s publication, Barbilian wrote: “I personally consider myself a representative of the Erlangen Program, that movement of ideas that, from the standpoint of its consequences and the overturn of viewpoints, can be compared with the Discourse on the Method or with the Reform itself. Instead of the narrow specialization or the opaque technicality, which preceded the Erlangen Program, it brought an illuminated eclecticism. It pursues the depth of each theory, without missing from sight the homogeneity and unity of the whole.” Starting our inquiry from this standpoint, we investigate the existence of the common roots of ‘Secondary Game”s poetics and the philosophy of the Erlangen Program. Our conclusion is that the Erlangen Program yielded in the field of Romanian letters a totally unexpected outcome: an aesthetic vision. Bogdan SUCEAVA (b. 1969) has a degree in mathematics (1994) and a M.Sc in geometry (1995) from the University of Bucharest, and a doctorate in mathematics from Michigan State University, East Lansing (2002). He is now a full professor of mathematics at California State University, Fullerton, where he taught since 2002. He has written articles on mathematics and the history of mathematics, some of which appeared in Historia Mathematica, the Notices of the American Mathematical Society, the Mathematical Intelligencer, among many others; two of historical essays are included in the Best Writings on Mathematics anthologies (2016, 2018) published by the Princeton University Press. He is also the author of 17 literary volumes, including Miruna: A Tale (Curtea Veche, 2007; Polirom 2016), The Night When Somebody Died for You (Polirom, 2010), Coming from an Off key Time (Polirom, 2004; 2nd edition, 2010; 3rd edition, 2014), Avalon. 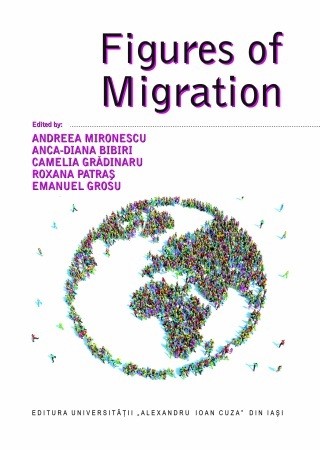 Secrets of Happy Emigrants (Polirom, 2018). Further details on the conference program will be provided soon. 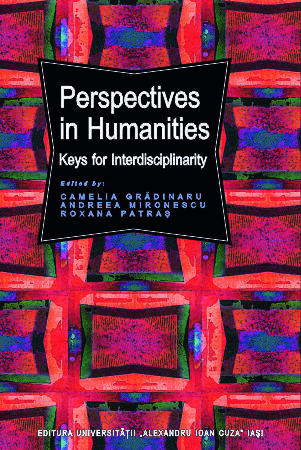 Call for Presentations PHSS 2019, Iași 17-18 May: Interdisciplinarity — An Umbrella Term? For Romanian, please click here. There is no unitary theory of interdisciplinarity, but we are most certainly crossing a postdisciplinary era, one in which inter-, multi-, transdisciplinarity have already merged into a meta-discipline, a new idiom where all these prefixes are partially interchangeable. But what does the conceptual vocabulary of interdisciplinarity consist of today? Which are its applicative methodologies? How do we acknowledge the potential meeting points of two distinct disciplines? How can these meetings be encouraged? And how does the imperative of being interdisciplinary shape the policies of research and the academic culture? Models of world representation from an inter- and transdisciplinary perspective: theory of evolution, world-systems theory etc. Multi- and interdisciplinary research fields: memory studies, trauma studies, gender studies, etc. Conference languages: Romanian, English, and French. There is no participation fee for this year’s edition. The PHSS 2019 edition is partially supported through the research grants GI-UAIC-2017-01 and GI-UAIC-2017-02, currently implemented at the Institute for Interdisciplinary Research, Social Sciences and Humanities Research Department. We invite researchers in all fields to submit abstracts until 22 April 2019. The final program of the PHSS Conference 2018 has been uploaded. We are looking forward to meeting you in Iasi! 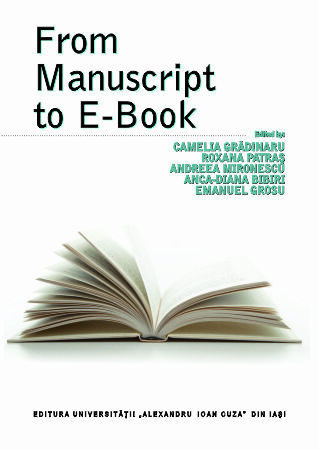 In Romania, more original rather than translated fiction is still being published. The production of children’s literature already amounts to around 1/5 of the entire literary book production in Romania. Every year in Romania more new domestic novels are being published than have been published here from the beginnings to the World War I. The number of new Romanian poetry books published annually is about 50% higher than the number of new Romanian fiction titles. About 8% of the local poetry volumes published in Romania are (also) written in foreign languages. Well, now you know all these. Come and find out more! Andrei Terian is a professor of Romanian literature with the Faculty of Letters and Arts at the Lucian Blaga University of Sibiu. His research focuses on twentieth- and twenty-first century Romanian literature, cultural theory, the history of modern criticism, comparative and world literature. 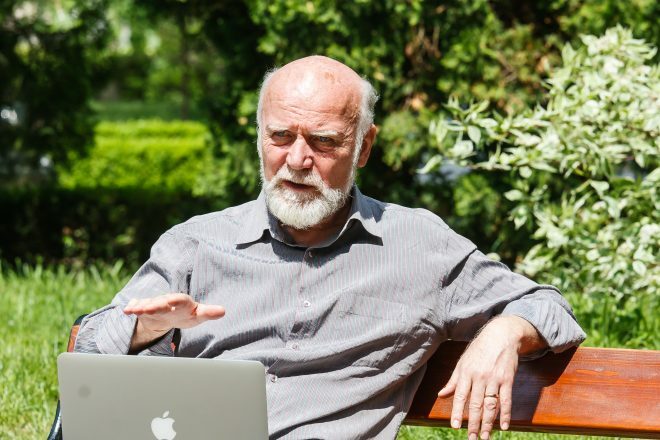 He has published numerous essays in Romania and in international journals such as CLCWeb—Comparative Literature and Culture, World Literature Studies, Interlitteraria, ALEA: Estudos Neolatinos, Slovo, Primerjalna književnost, and Romània Orientale. 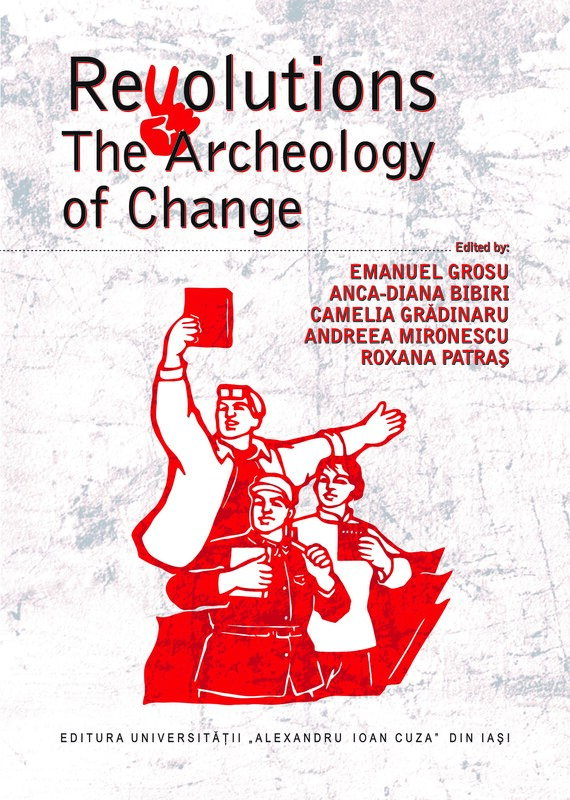 His works include the monographs G. Călinescu: A cincea esență (2009) and Critica de export: Teorii, context, ideologii (2013), the co-authored reference series Dicționarul general al literaturii române (1st edition, 7 volumes, 2004-2009; 2nd edition, 4 volumes, 2016-2017) and Cronologia vieții literare românești. Perioada postbelică: 1944-1964 (10 volumes, 2010-2013), and the co-edited volume Romanian Literature as World Literature (New York: Bloomsbury, 2017). We intend to organize a practical, hands-on workshop in the field of natural language processing, focusing on computational lexicography and machine summarisation. We aim to have an interactive seminar in which participants work together with us. The main activities will be centered on the following issues: how metadata are annotated on the CoRoLa platform, and how we make queries on the KorAP platform in order to find words, constructions, occurrences both in written and speech corpora, and work with metadata filters. The workshop will be held on the Thursday, the 24th of May 2018. It is open for those who register via email at phssconference2018@gmail.com, until the 18th of May 2018. The Reference Corpus of Contemporary Romanian Language CoRoLa, run by the “Mihai Drăgănescu” Research Institute for Artificial Intelligence in Bucharest and the Institute for Computer Science in Iași, is a corpus in electronic format, available (online) for free, in order to be used for studies on contemporary language, for processing language, for creating applications that use knowledge extracted from large corpora, for improving translation and for teaching Romanian. CoRoLa includes data in both written and spoken forms of the language. The textual collection is made up of publications covering the period from the 2nd World War to our days, while the spoken collection includes only recent recordings. CoRoLa corpus includes two types of annotation: 1. metatextual (information about the text) – metadata; and 2. linguistic (phonetic, prosodic, morphological, phrasal, syntactic, semantic, pragmatic). The metadata annotators (many of which are volunteers) work under the guidance of a detailed Annotation Manual. The online platform developed at IIT-Iaşi (Romanian Academy, Institute for Computer Science – Iaşi), which includes facilities for cleaning formatting, standardizing Romanian diacritics, eliminating hyphenation, visualizing statistics about the quantity of texts accumulated and their subdomains, and filling in metadata. However, many clearing phases are still done manually: separating articles from periodicals in different files, removal of headers, page numbers, figures, tables, text fragments in foreign languages, excerpts from other authors, and annotation of footers and end-notes (decided to be left in the texts). Dr. Anca-Diana Bibiri and Dr. Alex Moruz are active members of the Natural Language Processing (NLP) Group at the “Alexandru Ioan Cuza” University of Iași. It is easy to overwhelm an auditory by portraying the benefits brought by information technology in the life of a humanity researcher. When the auditory comes mainly from this domain and when the speaker is somebody like me, linked to IT by profession, the danger of exaggeration is even bigger. I will try in this talk to avoid this trap by presenting in a neuter voice not only the lovely facets of using digital technologies in the humanities, but also the long way to achieve this, the profile of the digital humanities researcher and their “sufferings” along the long way from convincing people to collaborate till a result is obtained. The majority of comments and convulsions are inspired by the activity of the Iași NLP-Group, therefore gathered from both the University and the Academy. Dan CRISTEA is a professor at the Faculty of Computer Science of the “Alexandru Ioan Cuza” University of Iași and a principal researcher at the Institute for Computer Science of the Iași branch of the Romanian Academy. The research group in natural language processing lead by prof. Cristea, which brings together people from both institutions, has been mainly involved in: computational morphology and lexicography, creation of linguistic resources, machine summarisation, anaphora resolution, temporal analysis in texts, etc. He is a correspondent member of the Romanian Academy and a full member of the Academy of Technical Sciences of Romania. Further details on the conference events will be available soon.